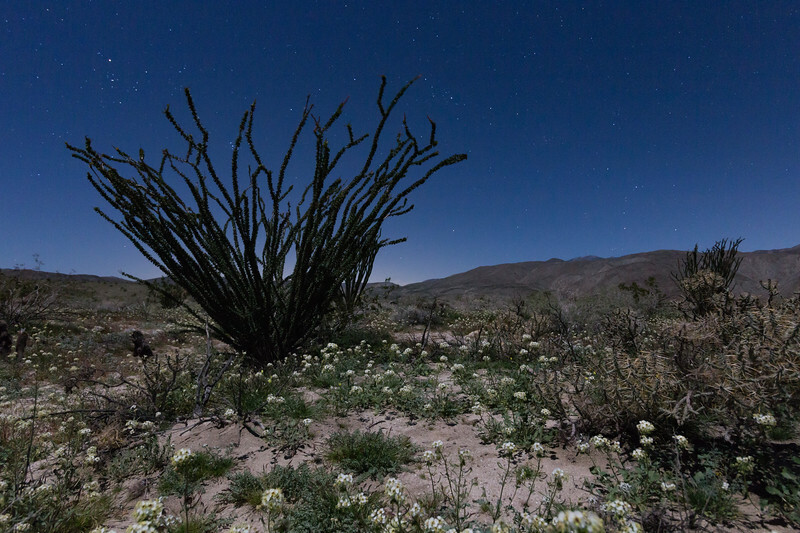 I shot this north of Clark Dry Lake in Anza-Borrego Desert State Park under moonlight. The 2017 super bloom is in full effect in Anza-Borrego. The record rains in California - after many years of severe drought - have produced some epic blooms out here. There are so many flowers and the ocotillo are such a deep green color that they almost look fake! Shot with a Canon 6D and Tokina AT-X 17-35 at 10 sec f/8 ISO 1600.